I LOVE my birthday. It's probably my favorite holiday with Thanksgiving being a solid second. You're the center of attention and people give you cake! What could be better? It wasn't any sort of milestone birthday, but we decided to do it up big! If you haven't realized from reading this blog, Justin and I are both nerds. My idol is Nancy Drew. She's kind of the best. It rained a lot when Justin and I were on our honeymoon. We were looking for fun things to do and stumbled onto an Escape Room. They're pretty popular, but this was the first time we were learning about them. We had SO much fun, it was just like a real life Nancy Drew game. When we got back to San Francisco, we were looking for more escape rooms to play. We found the Houdini Room which only has a 19% escape room! We knew this was it! This was going to be my big birthday weekend. We booked a hotel room in SF, and invited out some of my best friends! My friend Danielle, came out early and we went to Credo (of course). My Dad knows me so well and got me a gift card for my birthday! We just hung out and got ready. I rented a romper from rent the runway, and I wore the crown Danielle surprised me with for my bachelorette party! We kicked the night off at A16 a gourmet pizza place which was AMAZING!! I cannot rave about A16 enough. They were so nice and accommodating! It's definitely going on my top favorite spots in the Bay Area. After that we walked to Palace of the Fine Arts where the Houdini Room is hosted. It was such a blast. Most importantly, we escaped!! I have to abide by their secrecy rules, but I can tell you it had a lot of very clever and very hard puzzles. It's definitely worth a visit! Then after that we just went back to the hotel room, drank some wine and chatted. Birthdays are best when surround by friends and family. I'm so glad that I got to have such a fun night with those I care about most. I am a little bummed that I forgot to take any photos. I always forget to take pictures during major life events, which is kind of a blessing and a curse. I'm glad that I'm so in the moment, but I always regret not at least having a couple of photos of the evening. my tips for a zero waste birthday party for kids and adults alike! Do people still even do party favors? They're so unnecessary. I've seen some for weddings, but I've never been very interested in them. They typically aren't something that I'd use. When I think of having a fun birthday it's always centered around an event whether it's a group of friends playing laser tag, breaking out of an escape room, or just Justin and me wondering around a new city. Focus on a smaller group. It's easier to go places together and if you're doing a party at home, you'll have a lot less dishes to clean! Always go for the experience gifts or have everyone chip in on the birthday experience together. Justin is the best at getting gifts. He always buys us tickets to something. I'm really looking forward to seeing Turandot at the SF Opera next month. My mom also got me a gift certificate to a local spa! Other great experience gifts include gift cards to favorite local spots, a coffee date, or tickets to a sporting game. Consumables make great gifts too like candles, coffee beans, bottle of wine or flowers. If you're having a party at home, use real dishes, real cups, and cloth napkins. You can read more about our big BBQ Bash wedding party in the backyard for inspiration. My biggest tip is to make sure your washing machine is empty when the party starts! Throw all of the cloth napkins into a load of laundry while you wash the dishes. Keep your decorations minimal and compostable. The easiest way to do this is to decorate with nature! Flowers and leaves are so beautiful. I also love to spend extra care and attention on the edible decorations. It's an easy way to be fun and festive without being left with a lot of trash. Make sure you have clear instructions or signage so guests know where dirty dishes and compost belongs. Also, chat with your guests before hand so they know you're trying to have a waste free birthday party! 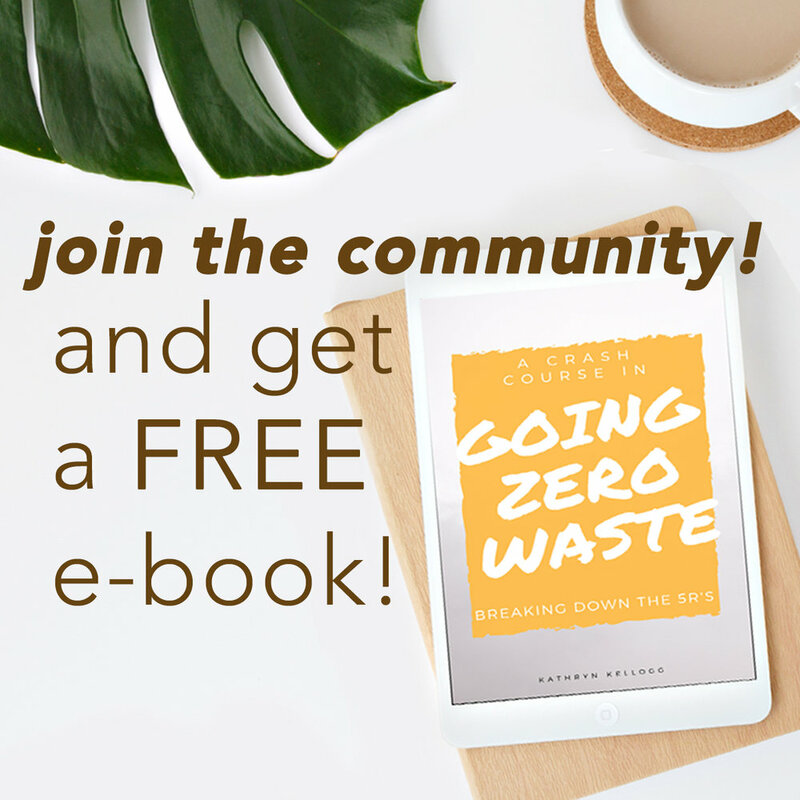 Have you had a zero waste birthday? 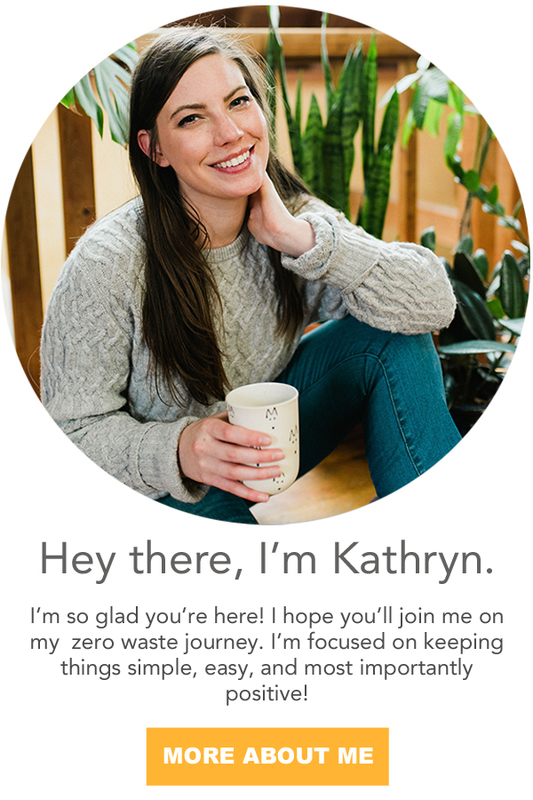 What are your tips for a zero waste party?